This fabulous ring has been handmade in platinum to Alan's design using stones selected by him. 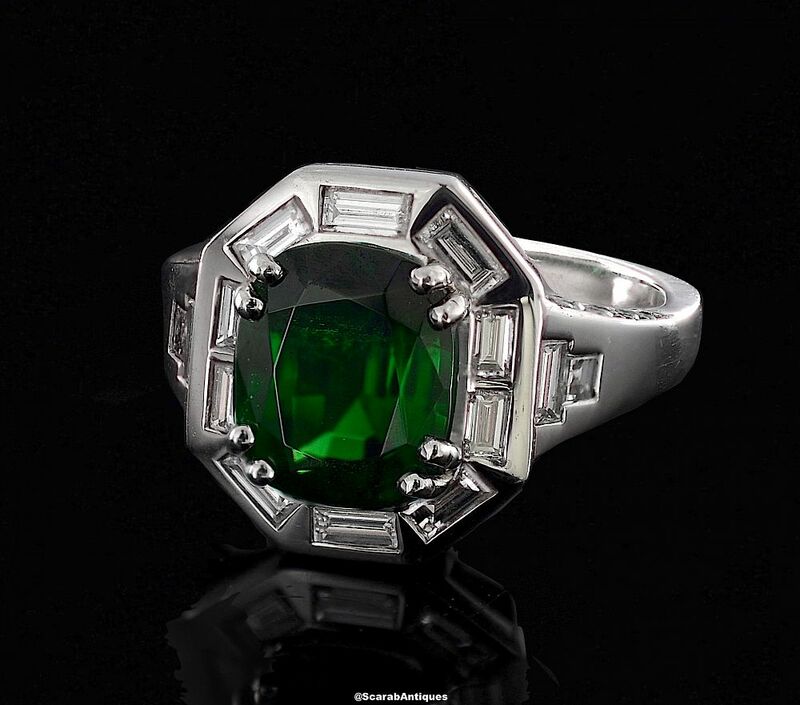 In the centre of the octagonal top is a tsavorite (green garnet) set in a four double claw collet. It is surrounded by 10 baguette cut diamonds in rubover settings with a further 2 baguette cut diamonds set into each shoulder. There are small round diamonds set into each of the sides of the shoulders. 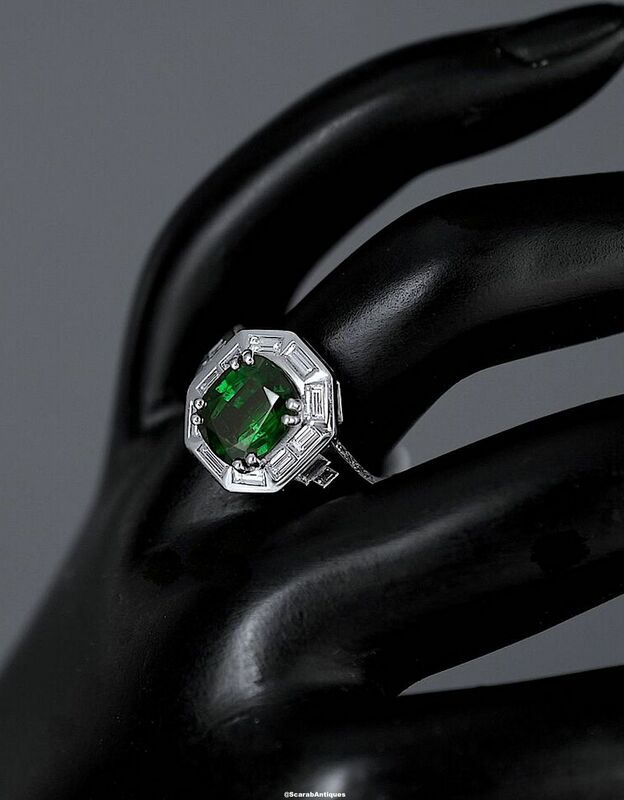 The tsavorite bears an independent certificate from the Gem & Pearl Laboratory London and the ring has been hallmarked by the London Assay office for platinum and 2015 and bears the sponsor's mark "A&SP" for Alan & Sue Poultney.